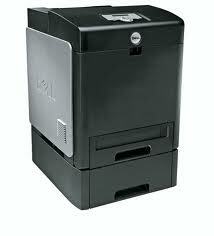 Dell 3110CN Printer - Refurbished with 3 months Return To Base Warranty & Working Consumables. 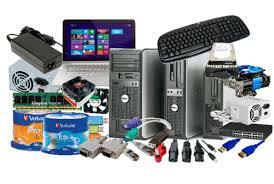 The Dell 3110CN Printer is as good as buying new as all worn parts are replaced. This saves you up to 50% off the price of a brand new printer. We are confident that you will be 100% satisfied with your Dell 3110CN Printer and are here to help with any support questions you may have. The Manufacturers part number/product code for this item is: 0MF782. - Robust: Prints up to 60,000 pages per month (maximum duty cycle) and a typical monthly print volume of 1000 to 3000 pages. The Dell Colour Laser Printer 3110cn gives you the best of both worlds: fast, high-quality monochrome printing and clear, vibrant colour printing in a single printer. No longer do you need to operate a monochrome printer alongside a limited-access colour printer – with all that entails in duplicated consumables, service contracts, power supplies etc. Give your business documents a burst of life by adding bright, vivid colour. Share and control access to the 3110cn across your office network and take advantage of colour printing from any connected system with the appropriate print permissions set using ColourTrack. Keep your total cost of ownership low with Dell's second-generation Colour Track colour control tool. Colour Track 2 gives you the ability to create up to 50 user or department accounts and monitor print jobs per account. Enable, disable or set limits for colour and monochrome printing - Colour Track 2 lets you control everything remotely using the Dell Printer Web Configuration Tool. The Dell Toner Management System constantly monitors your toner level and warns you when you are running low. You can be notified through pop-up or e-mail alerts and from there you can connect directly to www.dell.com/supplies for easy 24/7 toner ordering. Depending on your office needs, the 3110cn is flexible enough to be upgraded in several ways. You can include a duplex printing unit for two-sided printing, a wireless 802.11b/g networking adapter, and an additional 550-sheet paper drawer for a maximum input capacity of 950 sheets of paper. You can also upgrade the onboard memory from 128 MB to a maximum 1152 MB for quicker and more efficient printing. The 3110cn has the speed, duty cycle and features to address low- to mid-volume printing across virtually any networked environment. The 3110cn comes standard with a 5000-page black toner cartridge and a 4000-page colour cartridge, or choose the high-capacity 8000-page black and 8000-page colour cartridges to reduce your replacement frequency and optimise your cost per printed page in both colour and monochrome.